Bouquets of babies sweet to hold: cocoa-brown, cinnamon and honey gold. Ginger-coloured babies, peaches and cream too – splendid skin for me, splendid skin for you! 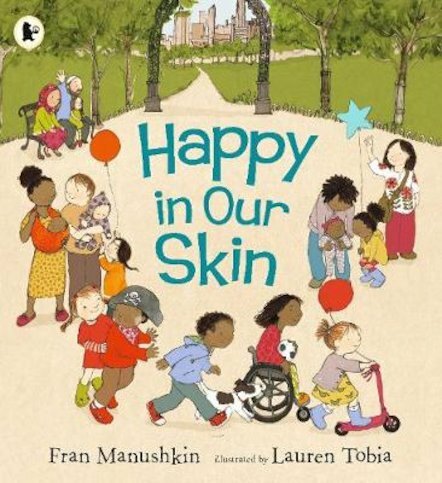 Told in delightful rhythmic rhymes, this book celebrates a world of babies, children and grown-ups who love the skin they’re in. At the park, at the pool, at a street party. At home, cuddling up with the family. Everywhere: a world full of beautiful people happy in their wonderful skin! Just look around you to see people of all shapes, sizes and colours. People with luscious, scrumptious skin, who are happy to be who they are!